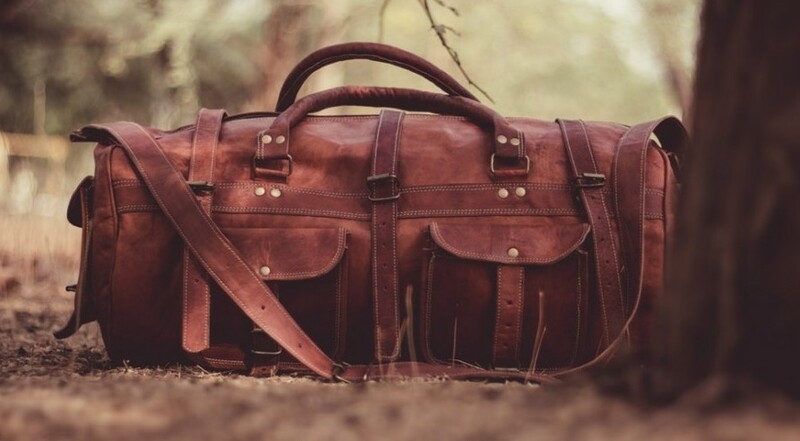 Duffel bags traditionally looked like your typical gym bag or kit bag. The military uses duffel bags; in the navy they are called sea bags. Typically, they were and are still used by the outdoorsy type of person. At some point a duffel bag was considered to be the go-to piece of luggage for a “Surfie”, a guy who’d probably be seen travelling around in a combi van and spending most of his time down at the beach or in the water surfing. There was even a song about a kit bag, which was popular as a marching song in World War I. But a lot has changed since the beginnings of the duffel. Of course, you can still get the traditional look, but there are now a lot more options when it comes to duffels. You can get them as a perfect carry-on bag, which will pack a lot and many times can be rolled aboard; there are duffels that can be used as backpacks too; duffels that are even professional-looking to be taken on a business trip and of course there are duffels for the sports enthusiast or adventurer. Duffels typically offer a lot of room and are easy to pack and easy to carry. They are perfect if you need to fit “just one more piece” in. They are made of durable material and many times are waterproof, especially the ones that are made for the adventurers amongst you. Granted they mostly aren’t the super organised piece of luggage some people prefer, but they offer sooo much roooom. Some duffels do come with more organisation though, where you can find room for passports, tickets, and other things you need access too quickly; wet packs to put a change of clothes in, or shoe or dirty laundry compartments. Duffels come in many different looks, be it sporty, stylish or retro and they come in different sizes, from tote bags and carry on to checked and extra-large. They are available in different materials, traditionally made of thick cloth or similar fabric, but these days many more options exist, such as polycarbonate or ballistic nylon, leather and others. 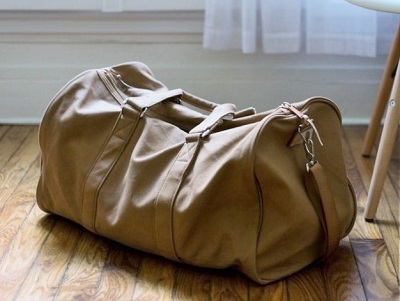 Duffel bags are typically made of canvas, but are available in different fabrics, such as leather. The newer types of duffels make it even easier to travel with as some of them are quite versatile and can also be carried as a backpack or wheeled around on retractable wheels and pulled along with an also retractable handle. 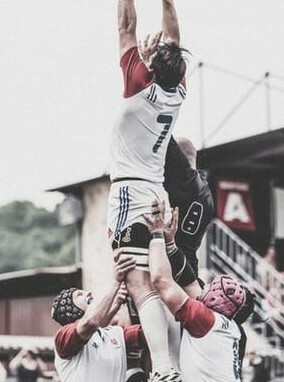 So, this is what a duffel or duffle bag is; a typically cylindrical bag which offers lots of room and was traditionally used as sports or kit bags and originally made of thick canvas. I hope this short post answered your question, but if you do have any more questions or comments please leave them below and I’ll get back to you soon. If you want to find out more about different kinds of luggage, why not have a look at my other article about international travel luggage? When I was growing up watching television action drama, the bad guys frequently mentioned the duffel bag they were carrying and these bags were always conveniently carrying the same thing. lol. Glad to see the name being reclaimed from the movie industry. I would buy a duffel bag for my next trip. I agree that it’s suitable as it can be compressed when not filled and be an easy carry-on. I think it’s great for taking off for the weekend. I really like the appearance of the duffel bag. Isn’t it interesting what we associate with certain words sometimes and even have old memories popping up? 🙂 Yes, duffel bags are certainly quite versatile like that. Thanks for stopping by. I absolutely love Duffel bags. The way they are made now Is amazing. I have a big family and we can pretty much fit everyone’s clothes in one duffel bag. One of the things I love about them, Is their durability. I’ve had the same Duffel bag that I bought over 10 years ago. In saying that, I am definately due for an upgrade. Thank you for this awesome post. I now know what I want. Yes, I agree, they are soooo roooomy. I’ll let you know when I’m doing a duffel bag only review. For now, I’ve got this post on roller luggage, which features a few duffel bags as well. I’m an adventure person!! I absolutely love my gym bag. Unfortunately it has become kind of mouldy from too many adventures. Where can I find one to purchase?